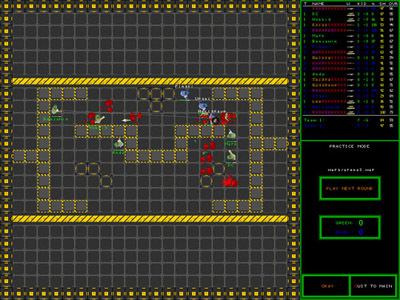 Frag Arena is a strategy game. 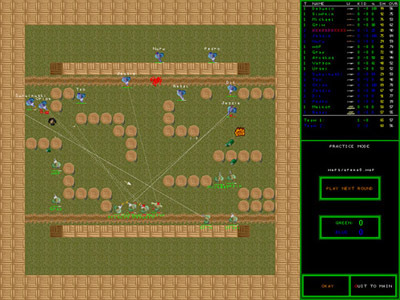 Two players draft soldiers, assign them weapons, give them battle instructions, and then watch the battle fought out in real-time. The single player challenge is difficult to complete... are you up for the task? The simluation-type action is very addicting! The multiplayer portion of the game has been cancelled. A private beta was released Released on April 9, 2002 and now made available October 7, 2007. To download Frag Arena v1.3 beta, visit the download page. It's free! You can get it here.